GameGuru - GameGuru Abandoned Apartment Released! 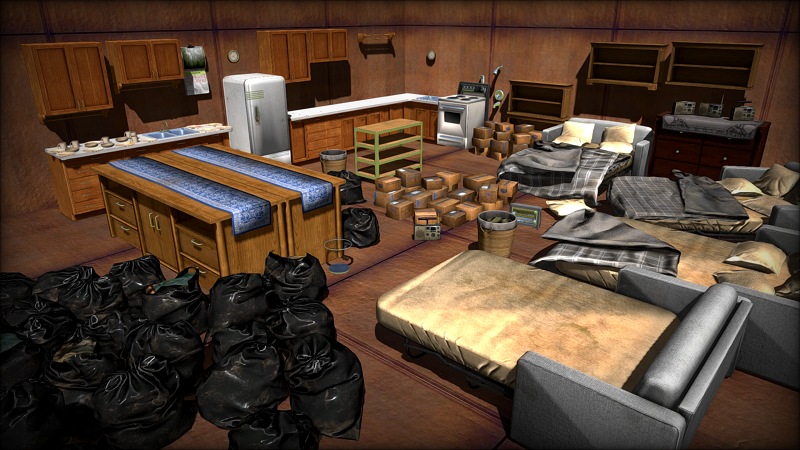 We are very pleased and excited to announce the release of a new GameGuru Abandoned Apartment Pack. This pack contains over 110 high-quality, PBR ready assets for your next game-making project. You get a large selection of home furnishings and kitchen items. With these assets, you could create the interior of a studio apartment, bedsits, hotel rooms and hostels. ...and even the kitchen sink! You won't find a collection at this price and quality in any other game maker! All assets are AAA quality, fully PBR textured, complete with correct material & collision assignments and ready to drop into your next project! You are also free to use them in your own games royalty and license free. We are running a special launch promotion for this brand new DLC so grab yourself a limited-time bargain and equip yourself with some of the best assets in the GameGuru universe.